be left outside all year round without being degraded by the weather. 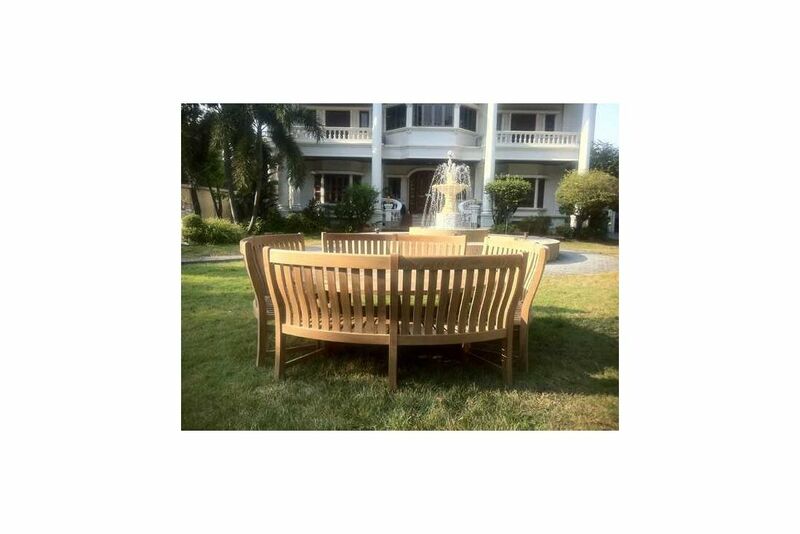 This superbly contoured & curved teak garden bench provides the ultimate in style & comfort. The Malvern teak garden bench has an S shape lumber support in the back panel as well as an S shape seat panel to guarantee maximum comfort, the curve of the bench is ideal for that special place in the garden or to accompany the 1.8m or 2.1m dia dining tables. Please note the price is for one bench NOT 4.